The case of Karl-Heinz Kurras has all the ingredients of a Cold War spy thriller. It has now emerged that Mr Kurras, the former West Berlin police officer who shot the young student protester Benno Ohnesorg in 1967, was actually a spy working for East Germany's secret police, the Stasi. For years, Mr Kurras deceived his colleagues in the West Berlin police service and the German public. The death of Ohnesorg on 2 June 1967 during a demonstration against a visit by the Shah of Iran sparked the student protest movement in West Germany and the turmoil of 1968. It was always assumed that the 26-year-old had been killed by a typical West German policeman, who in the eyes of the students epitomised the worst evils of the capitalist state and the establishment. Shortly after Ohnesorg's death, Gudrun Ensslin, who later became a leader of the left-wing militant group, the Red Army Faction, provocatively said: "This fascist state means to kill us all." The writer Gunter Grass described the killing as the "first political murder in the Federal Republic". The truth turned out to be more complicated. Germans are still coming to terms with the sensational discovery. "The myth of the 1968 student protest movement has been deconstructed," says Hubertus Knabe, the director of Berlin's Stasi memorial site at Hohenschoenhausen. 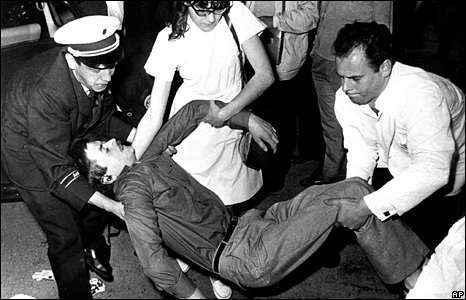 "The students took the death of Benno Ohnesorg as proof of the 'class state', but it now appears it was the East German communist party and secret police that killed Ohnesorg." The revelations came to light after researchers at the German government's agency that oversees the Stasi archives discovered 17 volumes detailing Mr Kurras' double identity. 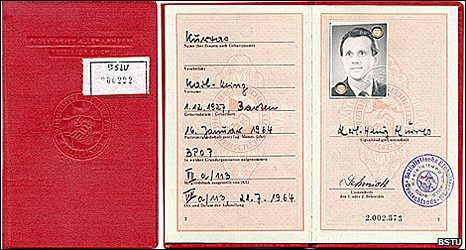 According to the files, Mr Kurras was an ideologically-driven Stasi agent and member of the East German communist Socialist Unity Party of Germany (SED). The Stasi had managed to infiltrate West Berlin's security apparatus and paid Mr Kurras for his services, the files revealed. 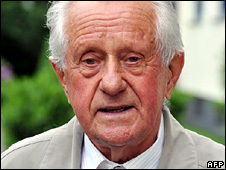 Researchers say Mr Kurras joined the Stasi in 1955 while he was working for the West Berlin police. Under the codename "Otto Bohl", Mr Kurras tipped off the Stasi about US and British troop movements and delivered secret information about the West Berlin police. "We are totally surprised. We never thought Kurras was a Stasi man," says Hugo Diederich, deputy head of the Association of Victims of Stalinism. For the state-run archive of Stasi documents, the Kurras file confirms the view that the Stasi were active in West Berlin and West Germany. But was the former police officer acting on Stasi orders? "We have no evidence in the file that the Stasi gave Kurras the order to shoot Benno Ohnesorg," says the director of the government's Stasi archives, Hans Altendorf. "The Stasi merely described the shooting as an 'unlucky accident' in the file and they broke off contact with Kurras after the shooting," he adds. Mr Kurras was charged with manslaughter, but acquitted in November 1967. He said the shooting was an accident, claiming that he had been attacked by knife-wielding protesters. Following an appeal by prosecutors and Ohnesorg's family lawyer at Germany's highest civil court, Mr Kurras was put on trial again in 1970 but he was also acquitted. Germans have been left wondering whether history would have taken a different course if people had known that Mr Kurras was a Stasi spy back in 1967. The discovery of the Kurras file has stirred a heated debate in Germany. Last week, the liberal Free Democrats (FDP) put forward proposals in parliament calling for all MPs who held seats from 1949 to be investigated over any possible Stasi links. But MPs from the governing Christian Democratic Union and Social Democratic Party (SPD), as well as members of the Left Party, rejected the motion citing legal reasons. "There are many barriers against research into Stasi activities in former West Germany," says Mr Knabe. "Today's political establishment doesn't want to be confronted with the past." There are now growing calls for Mr Kurras, who is now 81 years old, to be stripped of his pension. Chancellor Merkel told the magazine, Der Spiegel, that he did not deserve to receive full state benefits. Amid a public uproar, the Berlin Senate has launched an investigation into the former police officer's Stasi files. German prosecutors have also confiscated one volume of Kurras' Stasi file to try to establish whether the agency ordered Kurras to carry out the killing. 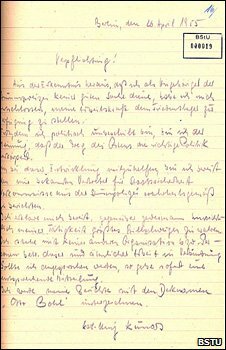 When asked about his connection with the Stasi, Mr Kurras told the German newspaper, Bild: "And what if I did work for them? What does it matter? It doesn't change anything." Historians say there are still many unanswered questions. "Only a fraction of the Stasi files have been officially registered, so the Kurras case won't be the last," says Mr Knabe. "Around 50,000 people worked for the Stasi in the former West Germany." East Germany's secret police had a huge network of informers who spied on millions of people. It is clear that unlocking the secrets of the past will be a long and difficult process.